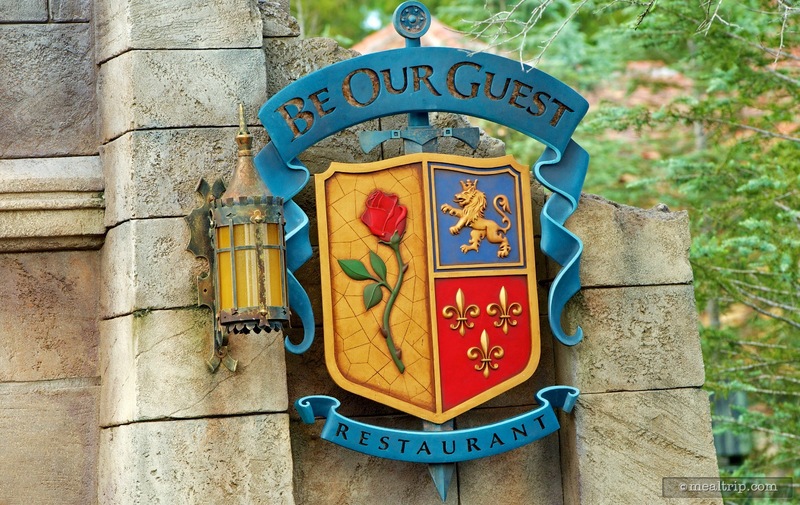 The Be Our Guest Restaurant Dinner listing is a Table Service (wait staff) dining location at Magic Kingdom featuring American cuisine. 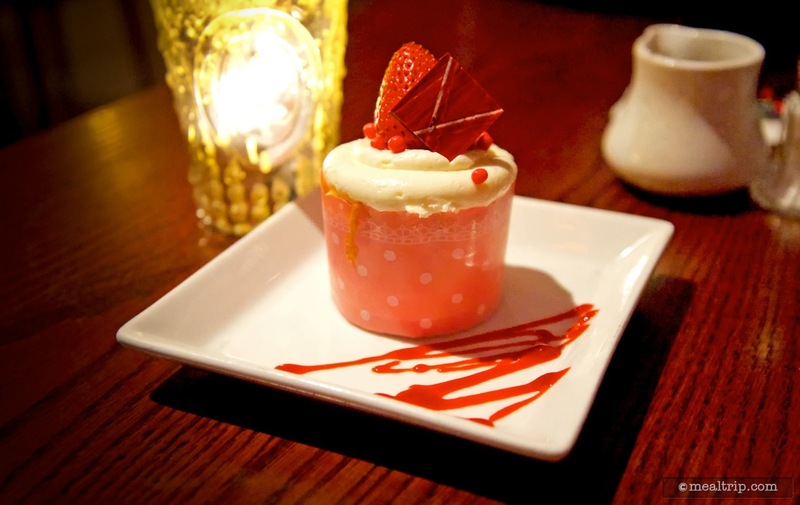 There are 13 photos in the Mealtrip photo gallery for this location and dining period. 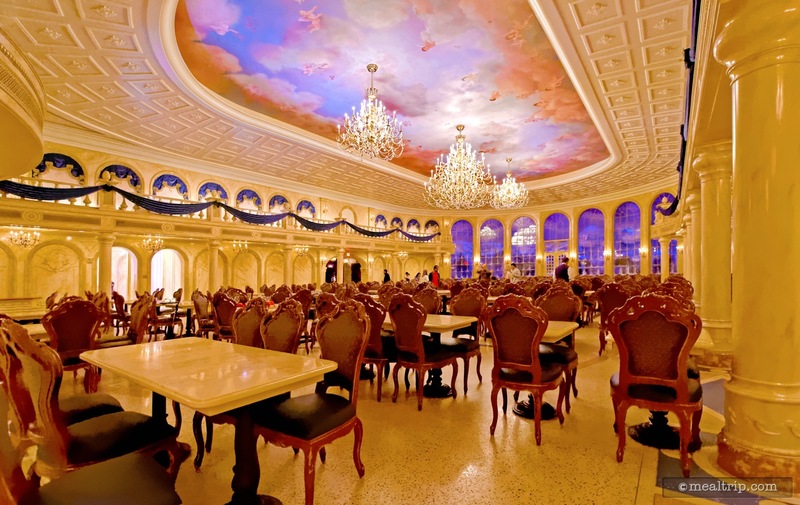 The Be Our Guest Restaurant Dinner listing currently has a score of 32 out of 100. 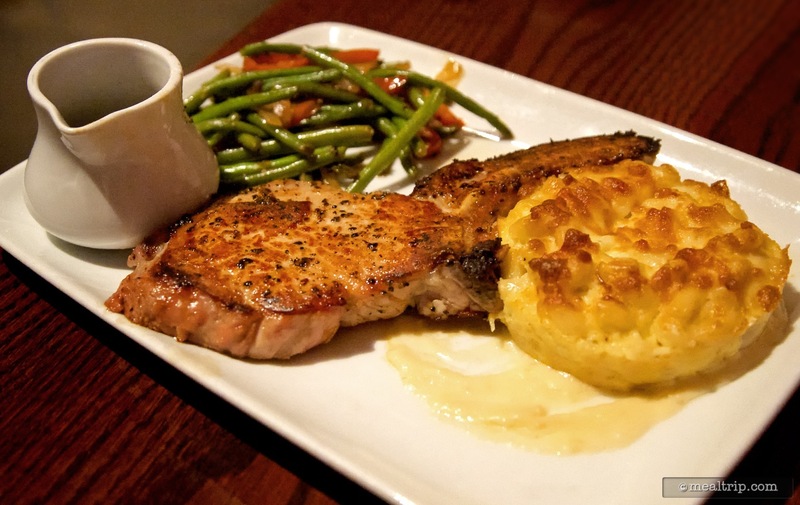 Click here to read all of the reviews for this location, or log in to Mealtrip.com to add your own review for Be Our Guest Restaurant Dinner. 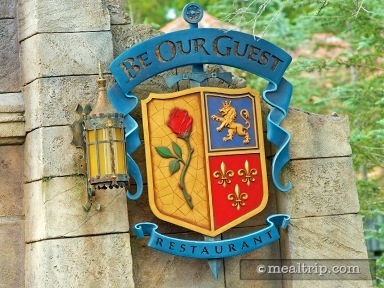 Be Our Guest sign at the foot of the bridge way to the restaurant. 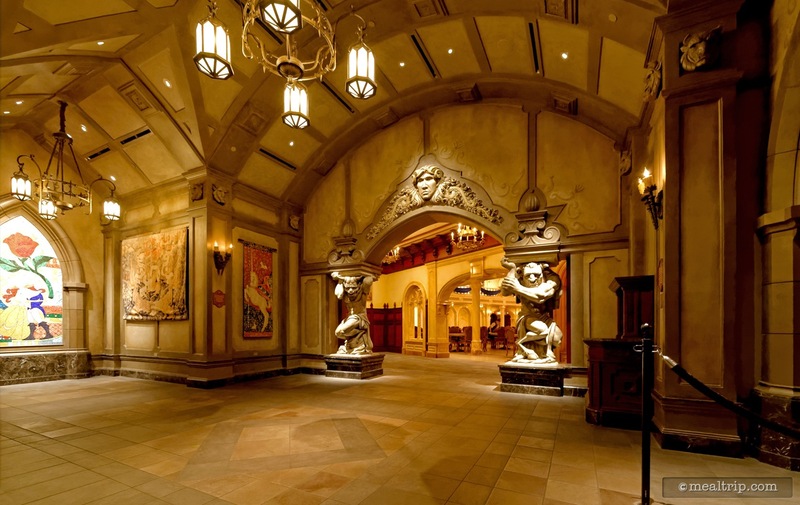 The foyer at Be Our Guest, leading into the main dining hall. 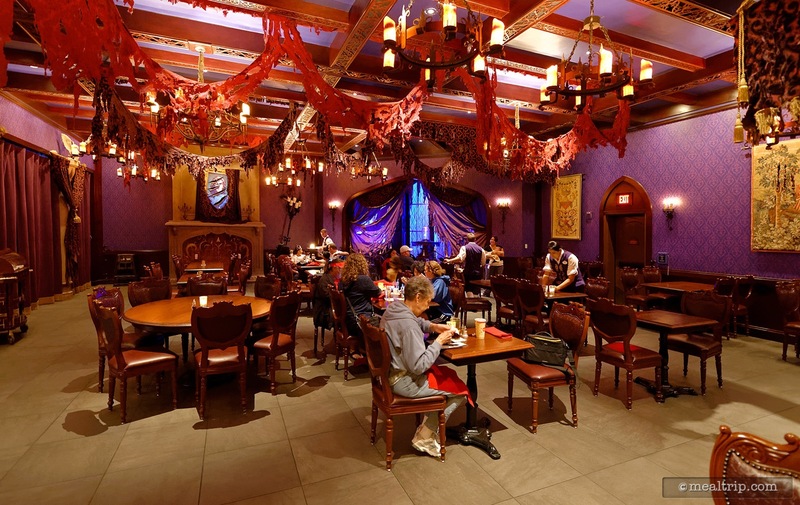 The main dining hall in the Be Our Guest Restaurant. 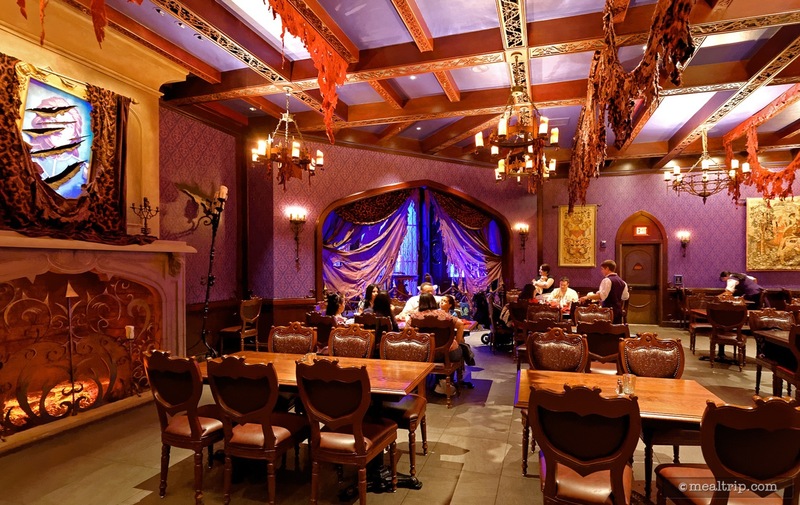 The East Wing room at Be Our Guest. 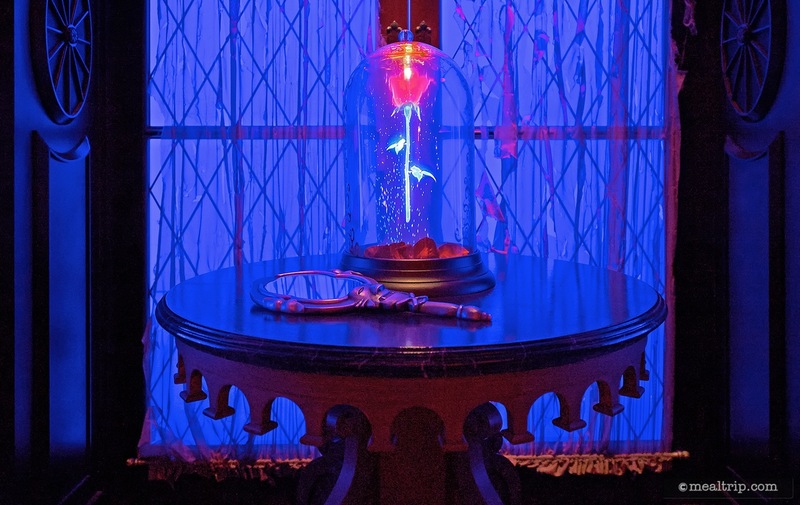 The enchanted rose, in the Magic Kingdom's Be Our Guest restaurant. 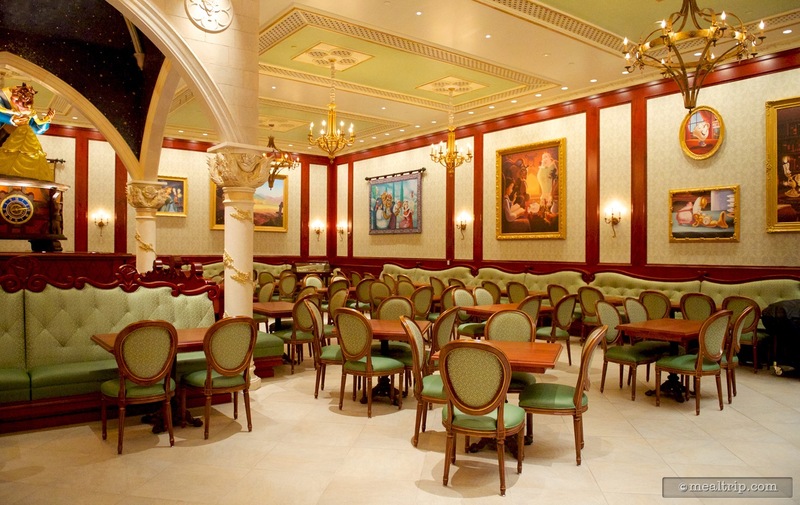 The rose is located in the "West Wing" dining area. 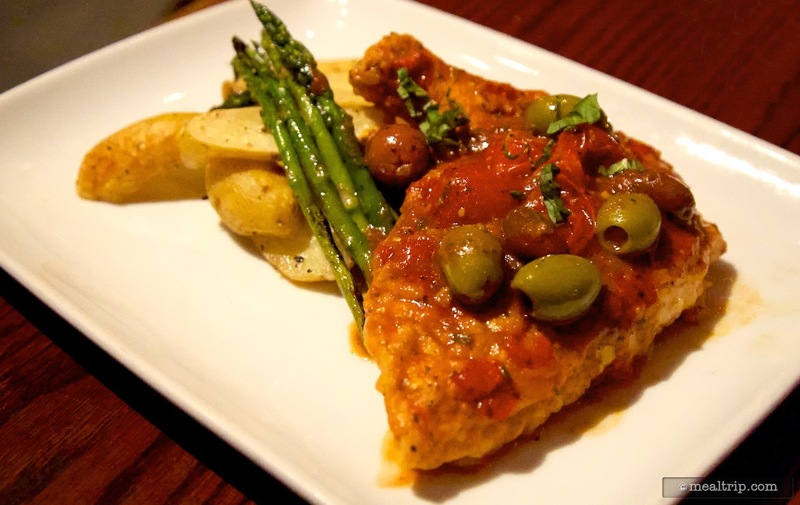 Chicken Breast Provencal - Pan-seared with a blend of tomatoes, olives, white wine, and herbs with seasonal vegetables and roasted fingerling potatoes. 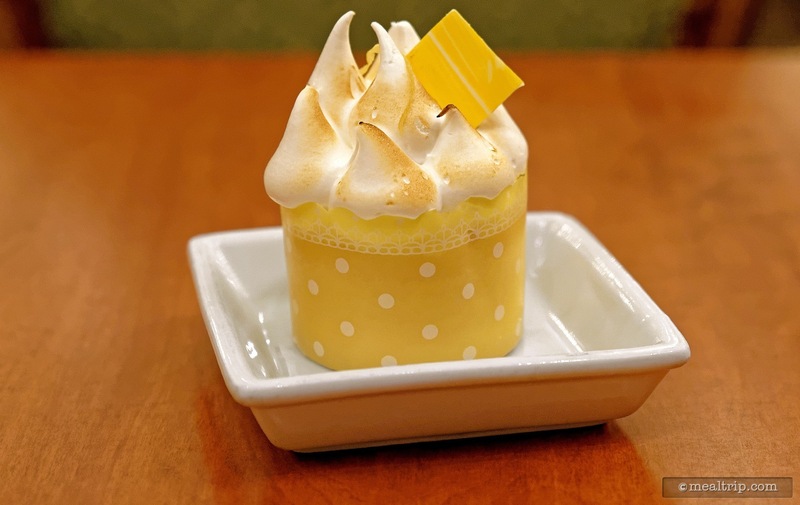 This Lemon Meringue Cupcake had it's photo taken in the "Castle Gallery", (or the East Wing as I like to call it), and features Vanilla Sponge Cake with a Lemon Custard Filling and is topped with Flamed Meringue Icing. Be Our Guest's "West Wing" looking across the dining area to the location where the rose is kept. 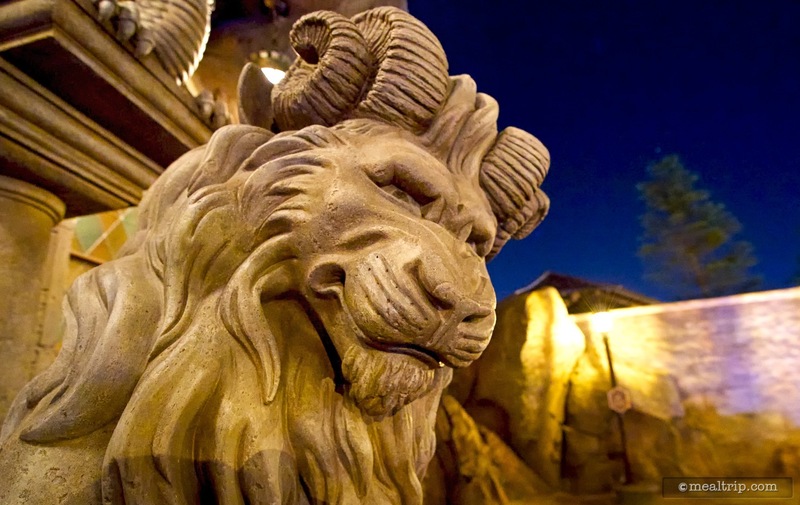 Chimera-esque guardians are located on either side of the entrance. 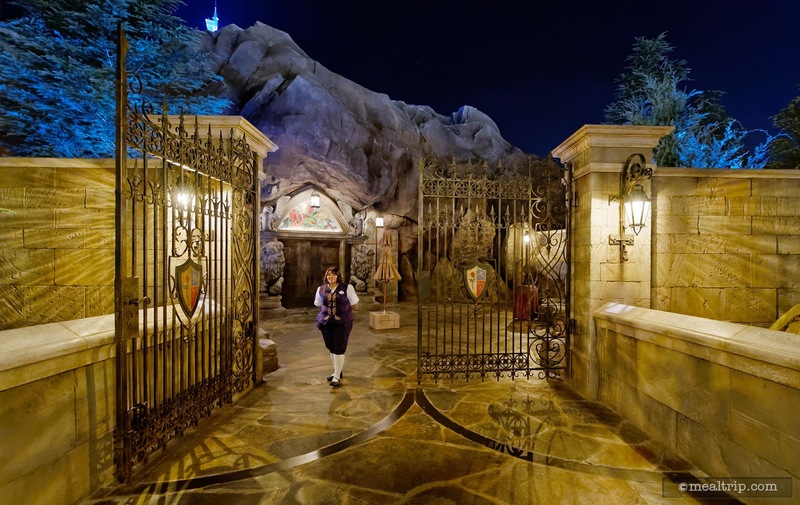 Goodnight Be Our Guest Restaurant.